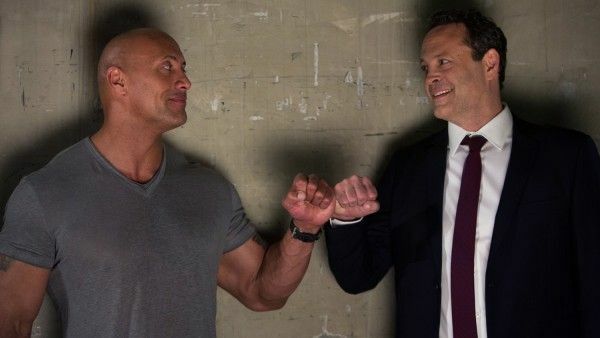 With Fighting with My Family now playing in limited release and expanding into more theaters this weekend, I recently sat down with writer-director Stephen Merchantand Paige to talk about the film. If you haven’t seen the entertaining trailer, Fighting with My Family is based on Paige’s, a.k.a. Saraya-Jade Bevis, real-life experiences and the 2012 documentary The Wrestlers: Fighting with My Family. She actually comes from a family of wrestlers and the film does a great job showcasing where she came from and how hard she worked to land a professional contract with the WWE. Florence Pugh plays Paige, Nick Frost plays her father, Lena Headey her mother, Jack Lowden her brother, Vince Vaughn her WWE trainer, and Dwayne Johnson not only produced the film, but also plays himself. During the interview, Paige and Stephen Merchant talked about what it was like world premiering the film at the Sundance Film Festival and the incredible reaction to the film, how the film is very funny, and more. In addition, I asked them a few questions from our “Get to Know” game like what TV show would they like to guest star on/guest-write, if they have a favorite sci-fi or fantasy film, and what film scared them as a kid. Finally, I’ll admit to being surprised by how much I enjoyed Fighting with My Family. It’s not only well crafted; it’s way funnier than it has any right to be and that’s absolutely due to Stephen Merchant’s script. He did a great job bringing Paige’s story to life and I absolutely recommend checking the film out while it’s in theaters. Watch what Paige and Stephen Merchant had to say in the player above and below is exactly what we talked about. You can also watch my Sundance interview with Nick Frost, Jack Lowden, Paige, Lena Headey, Florence Pugh and Stephen Merchant by clicking here. What was Sundance like for them? The great humor in the film. What TV show would Paige like to guest star on and what TV show would Stephen like to guest write and direct? Do they have a favorite sci-fi or fantasy film? What film scared them as a kid? 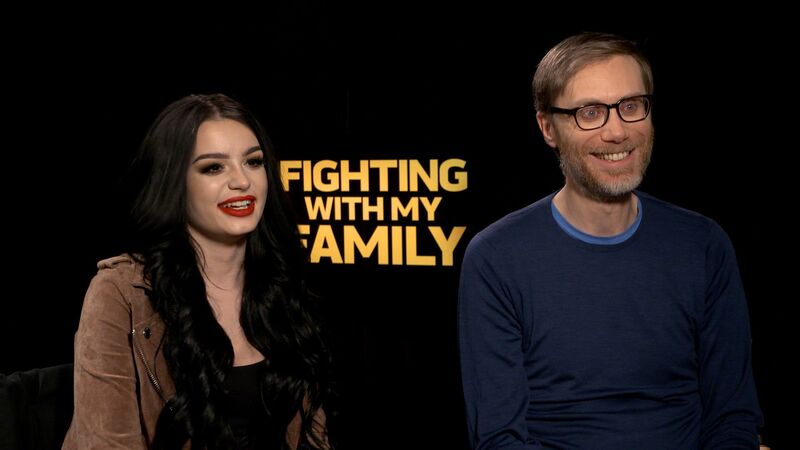 Fighting with My Family is a heartwarming comedy based on the incredible true story of WWE Superstar Paige. Born into a tight-knit wrestling family, Paige and her brother Zak are ecstatic when they get the once-in-a-lifetime opportunity to try out for WWE. But when only Paige earns a spot in the competitive training program, she must leave her family and face this new, cut-throat world alone. Paige’s journey pushes her to dig deep, fight for her family, and ultimately prove to the world that what makes her different is the very thing that can make her a star.